…KEY TO BEATING BREAST CANCER… | Thoughts of a Calabarboy. 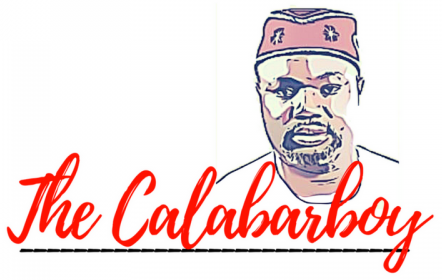 …KEY TO BEATING BREAST CANCER… – Thoughts of a Calabarboy. Extracted from Your Life in Your Hands, by Professor Jane Plant. I had no alternative but to die or to try to find a cure for myself. I am a scientist – surely there was a rational explanation for this cruel illness that affects one in 12 women in the UK? I had suffered the loss of one breast, and undergone radiotherapy. I was now receiving painful chemotherapy, and had been seen by some of the country’s most eminent specialists. But, deep down, I felt certain I was facing death. I had a loving husband, a beautiful home and two young children to care for. I desperately wanted to live. Fortunately, this desire drove me to unearth the facts, some of which were known only to a handful of scientists at the time. Anyone who has come into contact with breast cancer will know that certain risk factors such as increasing age, early onset of womanhood, late onset of menopause and a family history of breast cancer are completely out of our control. But there are many risk factors, which we can control easily. These “controllable” risk factors readily translate into simple changes that we can all make in our day-to-day lives to help prevent or treat breast cancer. My message is that even advanced breast cancer can be overcome because I have done it. The first clue to understanding what was promoting my breast cancer came when my husband Peter, who was also a scientist, arrived back from working in China while I was being plugged in for a chemotherapy session. He had brought with him cards and letters, as well as some amazing herbal suppositories, sent by my friends and science colleagues in China. The suppositories were sent to me as a cure for breast cancer. Despite the awfulness of the situation, we both had a good belly laugh, and I remember saying that this was the treatment for breast cancer in China, then it was little wonder that Chinese women avoided getting the disease. Those words echoed in my mind. Why didn’t Chinese women in China get breast cancer? I had collaborated once with Chinese colleagues on a study of links between soil chemistry and disease, and I remembered some of the statistics. The disease was virtually non-existent throughout the whole country. Only one in 10,000 women in China will die from it, compared to that terrible figure of one in 12 in Britain and the even grimmer average of one in 10 across most western countries. It is not just a matter of China being a more rural country, with less urban pollution. In highly urbanized Hong Kong, the rate rises to 34 women in every 10,000 but still puts the West to shame. to move to industrialized, irradiated Hiroshima, she would slash her risk of contracting breast cancer by half. Obviously this is absurd. It seemed obvious to me that some lifestyle factor not related to pollution, urbanization or the environment is seriously increasing the Western woman’s chance of contracting breast cancer. when oriental people adopt a completely Western lifestyle in Hong Kong. In fact, the slang name for breast cancer in China translates as ‘Rich Woman’s Disease’. This is because, in China, only the better off can afford to eat what is termed ‘ Hong Kong food’. The Chinese describe all Western food, including everything from ice cream and chocolate bars to spaghetti and feta cheese, as “Hong Kong food”, because of its availability in the former British colony and its scarcity, in the past, in mainland China. So it made perfect sense to me that whatever was causing my breast cancer and the shockingly high incidence in this country generally, it was almost certainly something to do with our better-off, middle-class, Western lifestyle. There is an important point for men here, too. I have observed in my research that much of the data about prostate cancer leads to similar conclusions. According to figures from the World Health Organization, the number of men contracting prostate cancer in rural China is negligible, only 0.5 men in every 100,000. In England, Scotland and Wales, however, this figure is 70 times higher. Like breast cancer, it is a middle-class disease that primarily attacks the wealthier and higher socio-economic groups ¨C those that can afford to eat rich foods. I remember saying to my husband, “Come on Peter, you have just come back from China. What is it about the Chinese way of life that is so different?” Why don’t they get breast cancer?’ We decided to utilize our joint scientific backgrounds and approach it logically. Then one day something rather special happened. Peter and I have worked together so closely over the years that I am not sure which one of us first said: “The Chinese don’t eat dairy produce!” It is hard to explain to a non-scientist the sudden mental and emotional ‘buzz’ you get when you know you have had an important insight. It’s as if you have had a lot of pieces of a jigsaw in your mind, and suddenly, in a few seconds, they all fall into place and the whole picture is clear. Suddenly I recalled how many Chinese people were physically unable to tolerate milk, how the Chinese people I had worked with had always said that milk was only for babies, and how one of my close friends, who is of Chinese origin, always politely turned down the cheese course at dinner parties. I knew of no Chinese people who lived a traditional Chinese life who ever used cow or other dairy food to feed their babies. The tradition was to use a wet nurse but never, ever, dairy products. Culturally, the Chinese find our Western preoccupation with milk and milk products very strange. I remember entertaining a large delegation of Chinese scientists shortly after the ending of the Cultural Revolution in the 1980s. On advice from the Foreign Office, we had asked the caterer to provide a pudding that contained a lot of ice cream. After inquiring what the pudding consisted of, all of the Chinese, including their interpreter, politely but firmly refused to eat it, and they could not be persuaded to change their minds. At the time we were all delighted and ate extra portions! Milk, I discovered, is one of the most common causes of food allergies. Over 70% of the world’s populations are unable to digest the milk sugar, lactose, which has led nutritionists to believe that this is the normal condition for adults, not some sort of deficiency. Perhaps nature is trying to tell us that we are eating the wrong food. Before I had breast cancer for the first time, I had eaten a lot of dairy produce, such as skimmed milk, low-fat cheese and yoghurt. I had used it as my main source of protein. I also ate cheap but lean minced beef, which I now realized was probably often ground-up dairy cow. In order to cope with the chemotherapy I received for my fifth case of cancer, I had been eating organic yoghurts as a way of helping my digestive tract to recover and repopulate my gut with ‘good’ bacteria. Recently, I discovered that way back in 1989 yoghurt had been implicated in ovarian cancer. Dr. Daniel Cramer of Harvard University studied hundreds of women with ovarian cancer, and had them record in detail what they normally ate. I wish I’d been made aware of his findings when he had first discovered them. Following Peter’s and my insight into the Chinese diet, I decided to give up not just yoghurt but all dairy produce immediately. Cheese, butter, milk and yoghurt and anything else that contained dairy produce – it went down the sink or in the rubbish. It is surprising how many products, including commercial soups, biscuits and cakes, contain some form of dairy produce. Even many proprietary brands of margarine marketed as soya, sunflower or olive oil spreads can contain dairy produce. I therefore became an avid reader of the small print on food labels. Up to this point, I had been steadfastly measuring the progress of my fifth cancerous lump with calipers and plotting the results. Despite all the encouraging comments and positive feedback from my doctors and nurses, my own precise observations told me the bitter truth. My first chemotherapy sessions had produced no effect the lump was still the same size. Then I eliminated dairy products. Within days, the lump started to shrink. About two weeks after my second chemotherapy session and one week after giving up dairy produce, the lump in my neck started to itch. Then it began to soften and to reduce in size. The line on the graph, which had shown no change, was now pointing downwards as the tumour got smaller and smaller. And, very significantly, I noted that instead of declining exponentially (a graceful curve) as cancer is meant to do, the tumour’s decrease in size was plotted on a straight line heading off the bottom of the graph, indicating a cure, not suppression (or remission) of the tumour. One Saturday afternoon after about six weeks of excluding all dairy produce from my diet, I practiced an hour of meditation then felt for what was left of the lump. I couldn’t find it. Yet I was very experienced at detecting cancerous lumps – I had discovered all five cancers on my own. I went downstairs and asked my husband to feel my neck. He could not find any trace of the lump either. On the following Thursday I was due to be seen by my cancer specialist at Charing Cross Hospital in London. He examined me thoroughly, especially my neck where the tumour had been. He was initially bemused and then delighted as he said, “I cannot find it.” None of my doctors, it appeared, had expected someone with my type and stage of cancer (which had clearly spread to the lymph system) to survive, let alone be so hale and hearty. My specialist was as overjoyed as I was. When I first discussed my ideas with him he was understandably skeptical. But I understand that he now uses maps showing cancer mortality in China in his lectures, and recommends a non-dairy diet to his cancer patients. I now believe that the link between dairy produce and breast cancer is similar to the link between smoking and lung cancer. I believe that identifying the link between breast cancer and dairy produce, and then developing a diet specifically targeted at aintaining the health of my breast and hormone system, cured me. It was difficult for me, as it may be for you, to accept that a substance as ‘natural’ as milk might have such ominous health implications. But I am a living proof that it works and, starting from tomorrow, I shall reveal the secrets of my revolutionary action plan. I really believe its true cos we have the same story here in Africa. The women in the villages know little or nothing about breast cancer whilst their colleagues in the big cities cry out of despair.